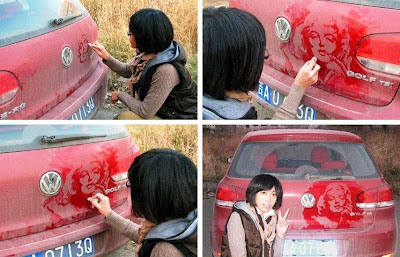 You have to admit, it would be a total hoot to come out to the car that you have been avoiding washing for the past 6 months and find that some talented young artist had done this. It's so much more interesting than just seeing "WASH ME!" or "HONK IF YOU'RE HORNY!"